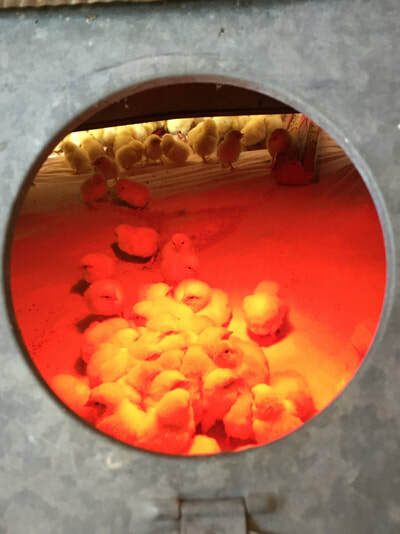 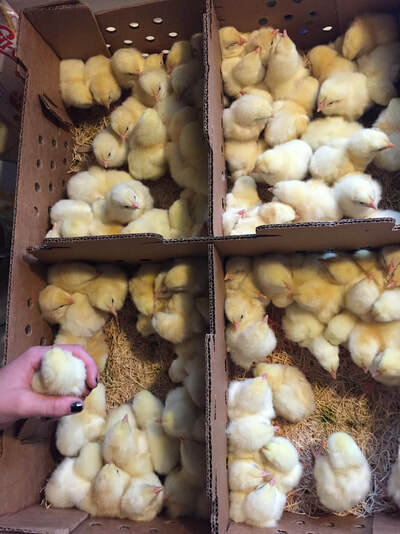 Our meat chickens come from a local hatchery in Nebraska and are brought to the farm the day they hatch. 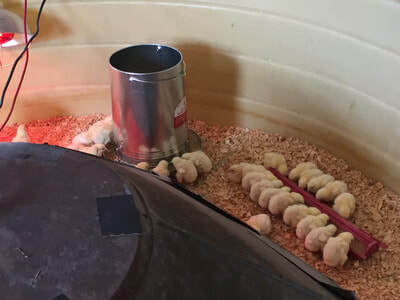 They spend about 3 weeks inside and then are placed into their chicken tractors till they are harvested. 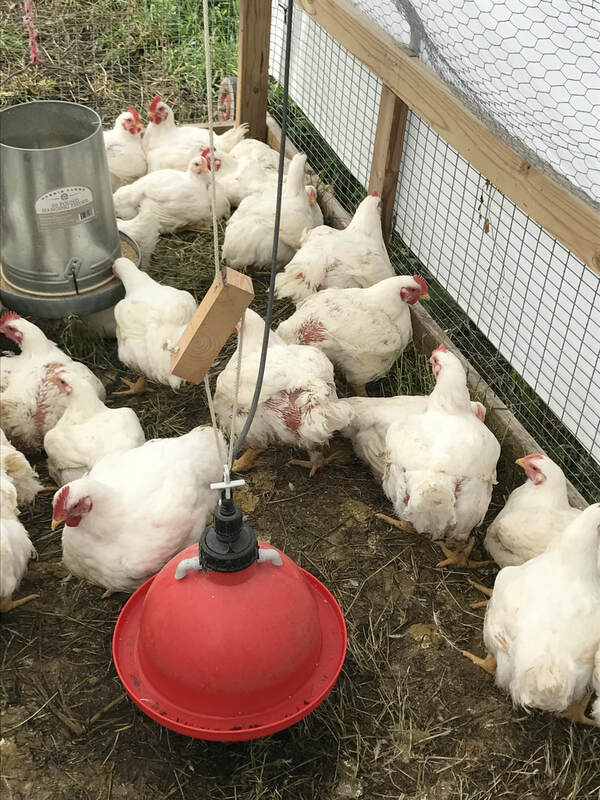 The chickens are moved daily to fresh grass where they are given the opportunity to be "chickens" and forage through the grass, soak up the sun, and live a full and happy life. This access to the great outdoors is what gives our chickens their rich flavor and moist meat.